A 27‐year‐old man was found with his head covered with a bag connected to a helium tank. 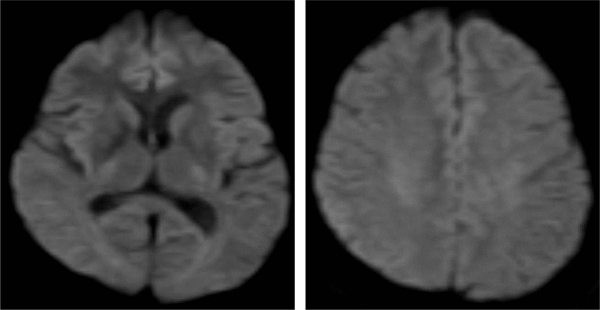 Hyperbaric oxygen therapy was not given because his head computed tomography showed no cerebral vasculature air embolism and there was no obvious limb paralysis. 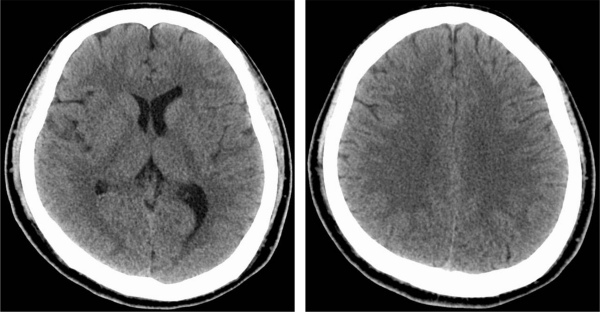 The diagnosis was impaired consciousness with hypoxic encephalopathy; he needed mechanical ventilation for 2 days. He was discharged after intelligence tests with no obvious higher brain dysfunction. The patient was successfully treated with hypoxic encephalopathy due to helium inhalation. Analysis suggested that the pathophysiology and appropriate intervention of helium intoxication might be different according to the devices used.